For hundreds of years, the vampire Balthazar has been alone—without allies, without love. When Balthazar agrees to help Skye Tierney, a human girl who attended Evernight Academy, he has no idea how dangerous it will be. Skye has caught the attention of Redgrave, the cruel, seductive master vampire responsible for murdering Balthazar and his family four centuries ago, and Balthazar will do whatever it takes to stop Redgrave and exact his long-awaited revenge against his killer. As Skye and Balthazar stand together to fight him, they grow closer—first unwillingly, then undeniably. 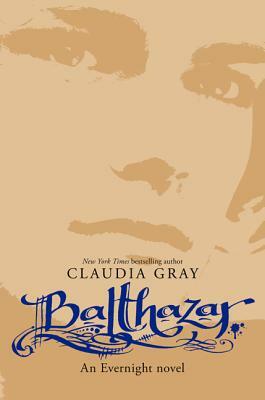 Balthazar realizes his lonely world could finally be changed by her. . . .
Claudia Gray is the pseudonym of New Orleans-based writer Amy Vincent, the author of the New York Times bestselling Evernight series. She has worked as a lawyer, a journalist, a disc jockey, and an extremely poor waitress. Her grandparents' copy of Mysteries of the Unexplained is probably the genesis of her fascination with most things mysterious and/or inexplicable.